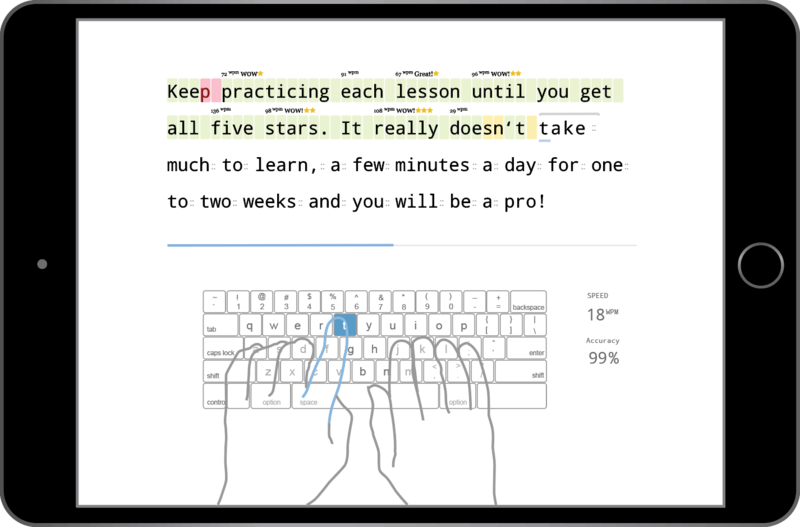 It gives you complete control over your students' typing progress. Setting up an account is quick and free. Sign up now! Set up your account within minutes, engage your students with TypingClub's amazing lesson plans, and track their progress through your portal. Setting up an account is quick and free. Get Started Now / Free. The following is a summary of some of TypingClub's key features. 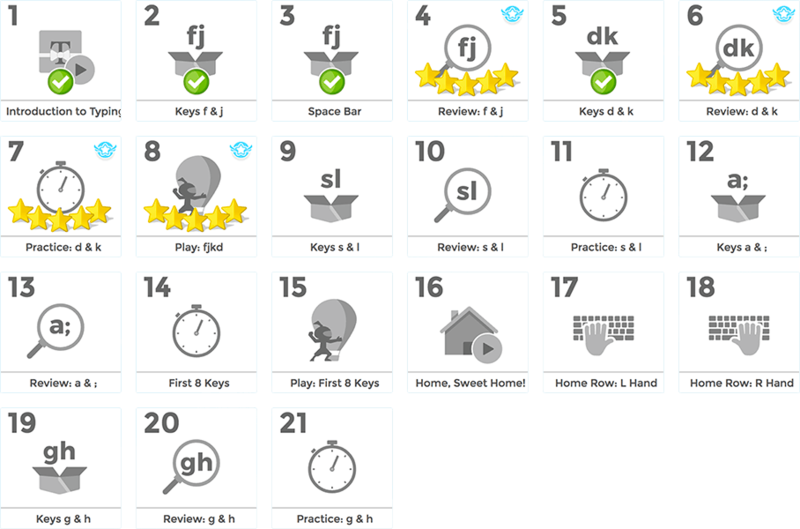 TypingClub's lesson plan contains over 600 lessons, guiding students from individual keys through numbers and punctuation, and all the way to a goal of 75 WPM. The carefully designed lessons include instructional videos, educational games, cross-curricular content, and other interactive experiences. TypingClub's district dashboard allows you to easily manage multiple schools and track their activity within a single account. You can import and manage your student roster through Clever, ClassLink, Google Classroom, custom CSV files, or an automated sFTP sync. Regardless of the path you choose, we are here to support you throughout the process. The student experience is designed to be clean, straight forward, engaging and fun. Students are provided with continuous feedback on their progress every step of the way and are motivated to repeat each lesson over and over to master each step prior to proceeding. Students are provided with an optional virtual keyboard and virtual hands on their typing interface to assist them with using the correct fingers when they are practicing each lesson. 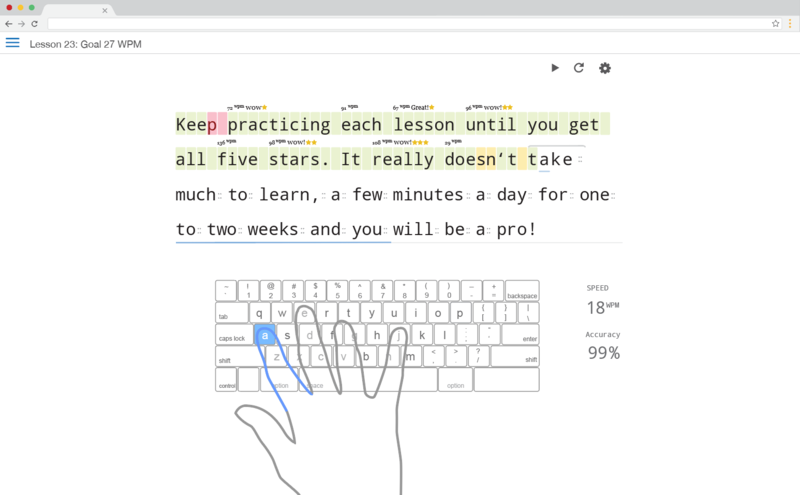 TypingClub's games are unique, engaging, and challenging. 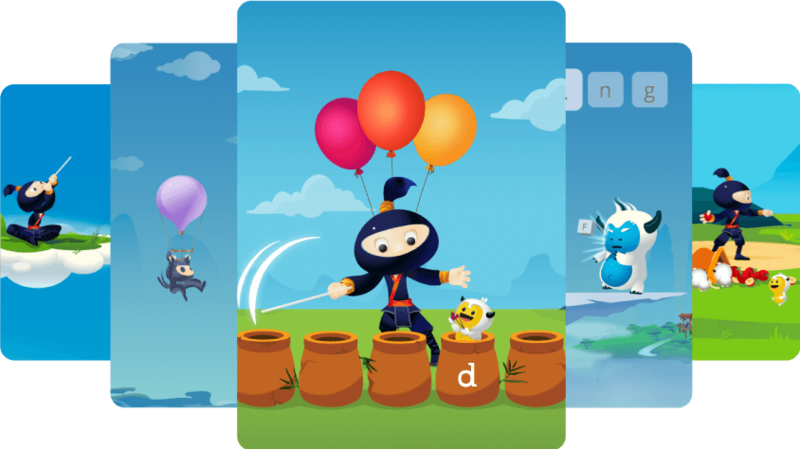 Each of the customizable games focuses on building specific typing skills. The games are plugged straight into the lesson plan and allow you to track your students' progress the same as you would with any other lessons. A rich set of reports and charts that help identify problem areas and monitor the progress of students as they are building their keyboarding skills. 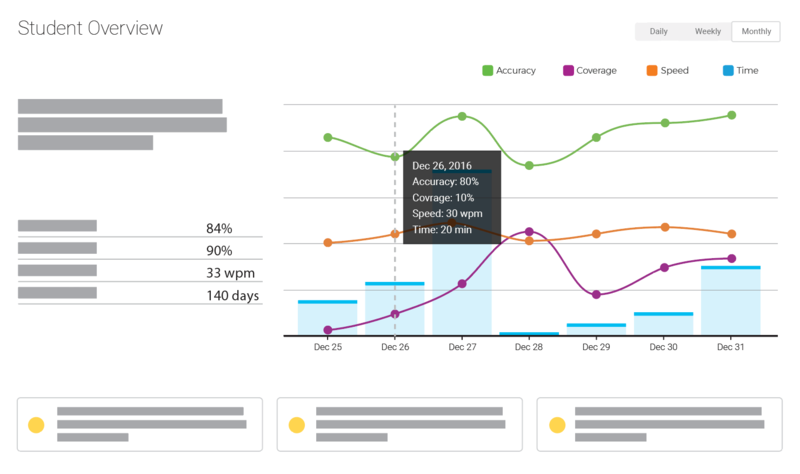 TypingClub's unparalleled district level reporting gives great visibility into your schools, teachers, classes, and grades. 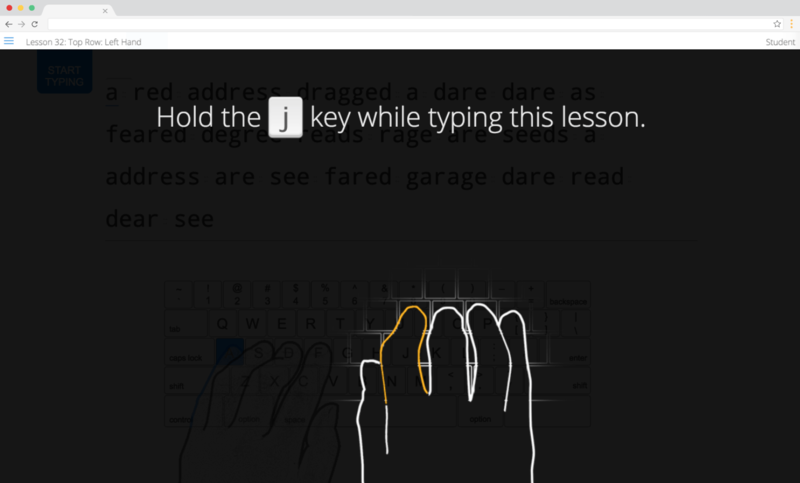 This typing tool ensures that students use the correct hand while typing. Students are prompted to hold down a key on one side of the keyboard, while practicing characters on the other side of the keyboard with the correct hand. TypingClub Badges are designed to motivate students on key objectives and keep them working hard at building their typing skills. This immersive experience guides students through an animated story while they are typing it. 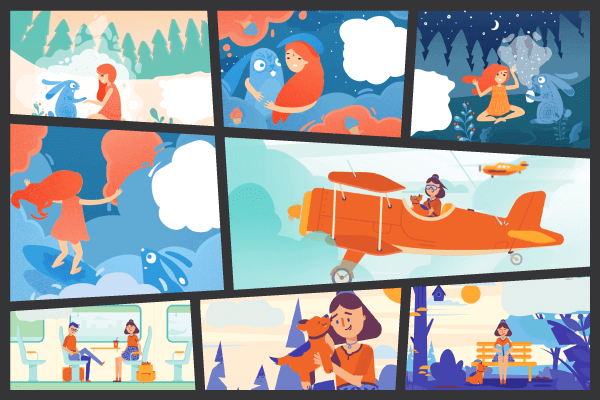 It gives students the sensation of writing a short story and bringing the story to life by typing it, while they work on improving their typing skills. For a preview, checkout Ava & the Rabbit, Going Solo, and our newest addition The Perfect Match. TypingClub is by far the most accessible typing software available. Students can increase their font size, choose a high-contrast theme, learn to type with one hand, activate the voice-over for audio guidance, or use their choice of screen-reader to learn how to type. TypingClub is proud to meet the WCAG 2.0 standards for website accessibility. 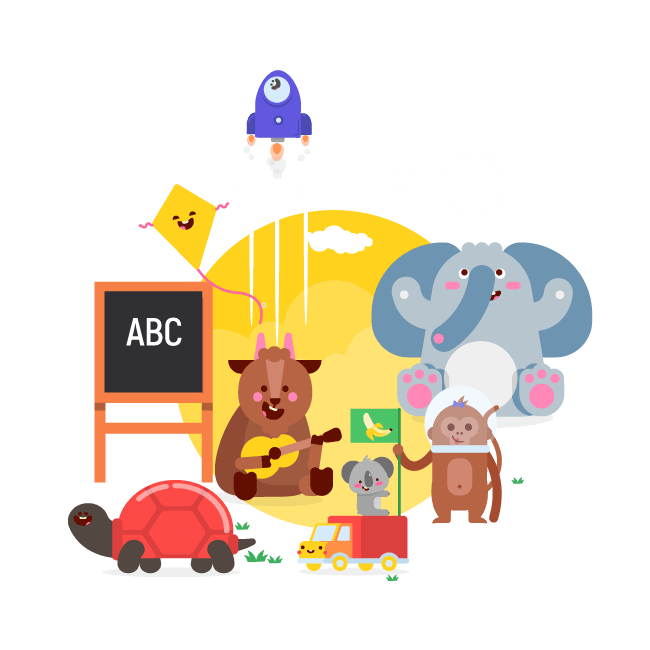 TypingClub offers lesson plans that are carefully designed to teach right-hand and left-hand typing. 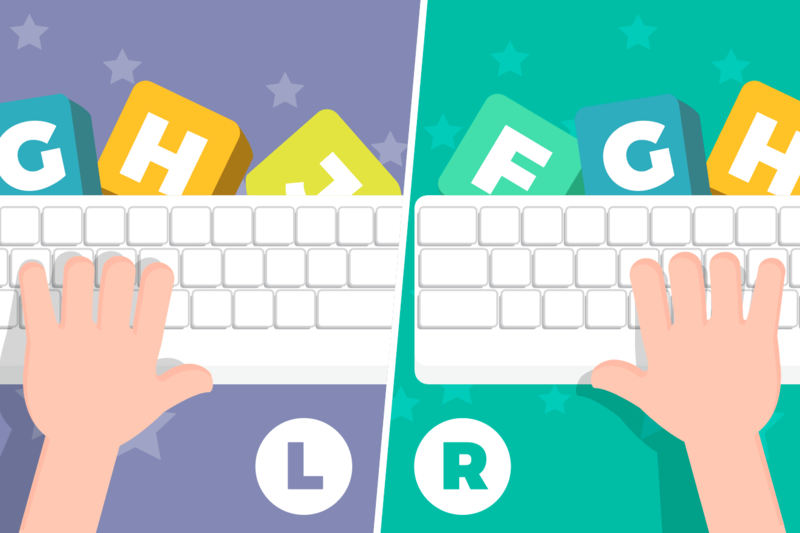 Combined with our one-hand virtual guides, these lesson plans will help your students master typing with one hand. Instructional videos are integrated directly into the lesson plan. These entertaining and informative videos cover topics such as good posture and remembering to take breaks. Keep your students engaged and excited about progressing through their lessons. 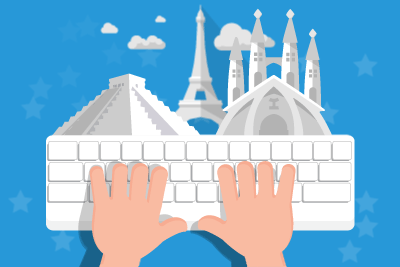 Students can learn touch typing using various keyboard layouts in a number of foreign languages including Spanish, French, Italian, and more. Typing lesson plan for a standard Dvorak keyboard from beginner to advanced. Includes games, videos and other interactive lessons. Typing lesson plans for learning how to type with either the right or left hand on a QWERTY keyboard. With our free iPad app, your students can use their iPad to sign into their account and continue practicing. Regardless of whether students use their browser or iPad to practice, you'll still be able to view and track their activities. Students are awarded certificates upon completion of typing tests. Teachers have the power to define the passing requirements and reward their students with these colorful and personalized certificates. 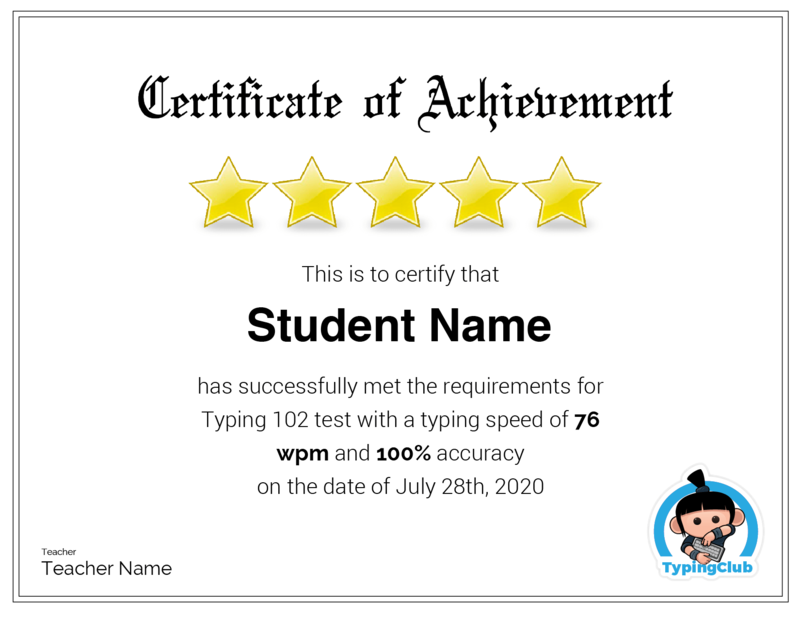 TypingClub provides a highly customizable testing tool that can be used to assess your students' skill level and progress. Whether you use one of our templates or design your own, you have all the tools to create and manage the perfect test. Your students' typing activities are recorded and can be played back by you or the student. You can assess the fluency of your students' typing and provide them with useful feedback, even if they are practicing from home! 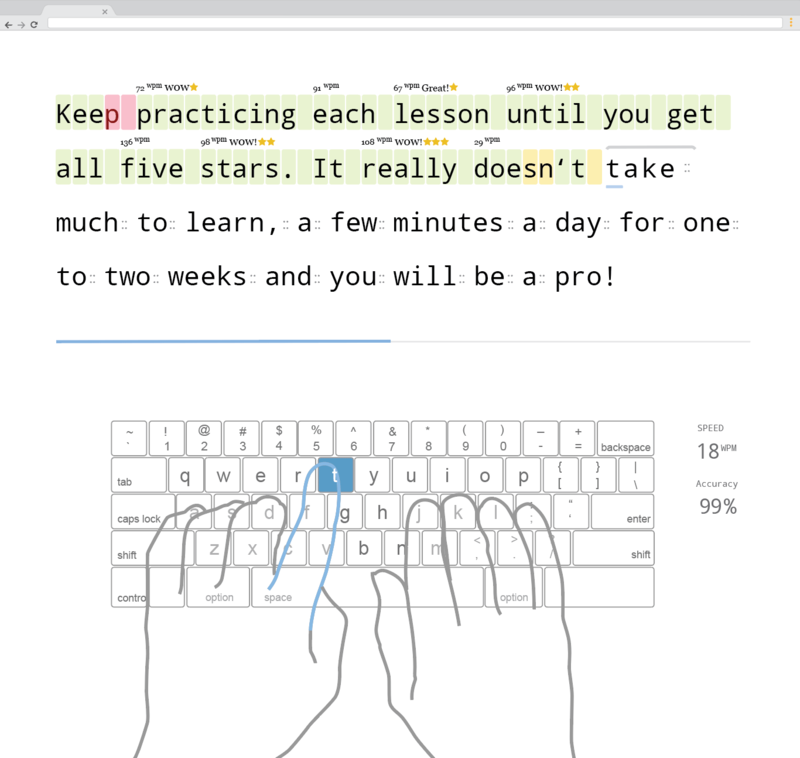 TypingClub offers both a free and paid school edition. Visit our Pricing Page to compare both editions and even generate a quote. TypingClub takes your students' privacy very seriously. We are a signatory to the Student Privacy Pledge. 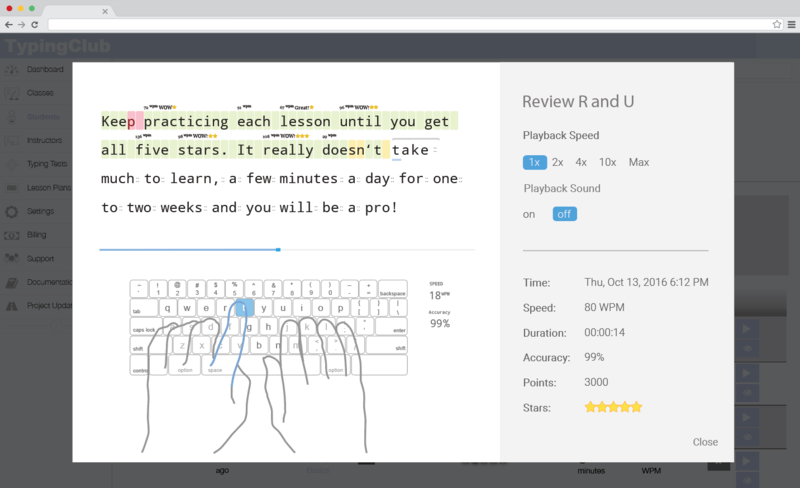 TypingClub uses an in-house designed lesson plan to provide a comprehensive curriculum for all students, regardless of their age or past typing experience. Please direct your questions to support@typingclub.com and one of our staff members will get back to you.